This topic contains 8 replies, has 5 voices, and was last updated by RonDuckworth 2 months, 1 week ago. 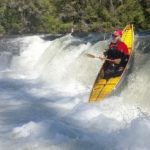 In the early nineties, I practiced, paddled, and raced slalom whitewater kayak with a group in central Pennsylvania that built up fiberglass kayaks from expensive racing moulds. We paddled throughout Pennsylvania and Virginia, mostly. In the decades since I’ve kept up with paddling barely via occasional rentals. Now that I seem to have a little stability, and have renounced biology as a profession, I’d like to try my hand at whitewater solo canoeing. 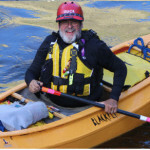 My decision to invest in a solo canoe such as a Esquif Zephyr or a Black Fly Condor will greatly depend upon whether I can plan on regular monthly drives to even slightly turbulent waters, i.e. water turbulent enough to read, within a 90-minute (OR LESS!) drive from Saint Louis. I’ve heard a lot about the Saint Francis River. Are there other even slightly turbulent spots for practicing basic whitewater solo canoeing skills? This topic was modified 2 months, 2 weeks ago by archerroot. Reason: Might be able to attend Spring Clinic! I often take small groups of students to the Meramec River at the 141 bridge to prepare for the clinic. When the river is relatively low (under 2′ on the Valley Park gauge? ), a few features form that offer perfect eddy hopping and ferry practice–just enough current so that the eddy lines are explicit, but no so much as to be very pushy or intimidating. The consequences for a swimmer are pretty minimal–I’d rather not know too much about the water quality though. There’s plenty of parking on river left, directly upstream of the bridge. Provided I’m not driving during rush hour, I can get there from the Wash. U. area in a little more than thirty minutes. Michael, sounds great. I live in that area so this is certainly a big positive towards purchase of a solo whitewater canoe. I hope you take a look at it first! The Saint is a great learning river at many levels!! Many open canoes are on the Saint. 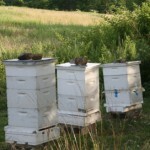 It has several sections to practice and build your skills. Thank you, Diane. This is helpful encouragement. Those are two extremely different canoes you mentioned. The Zephyr is a hot little boat, made of Twintex, notorious for cracking and you can’t fix it yourself like most glass layups. Learning curve may be a little steep in the Zephyr. The Condor is a bigger, longer boat. Blackfly’s answer to the Silverbirch Rebel…probably more stable than the Rebel. The MWA puts on a spring clinic you might want to check out. Good way to meet some people and possibly try out some different boats. The races, in March, is also a good event to meet local paddlers. Yes, deazle. So much has changed and I’m realizing that I was quite blessed in the little niche of hand-built fiberglass racing kayaks in the Appalachian Mountains back in the 90’s. On one hand, I’m very eager to get paddling again (THIS MONTH!) and, on the other, I’m trying to sort through the internet’s firehose of information and product choices. I think I’ll start another thread to solicit opinions on solo whitewater canoes for ferrying, catching little eddies, and speed on whitewater, creeks, as well as merely fast-moving water. Most of the time at the clinic there are boats for you to look at and sometimes to try, I have tried several there. I am currently in a BlackFly Octane 1. After owning and playing in different boats it works great for me. I am a older. heavier paddler so the young thin man’s boat created some problems for me and instructors. Lot’s of swims and rescues! As one owner of the blackfly octane 1 states it has increased the fun of being on the river and not in the river. Good luck hope to see you on the river in April.